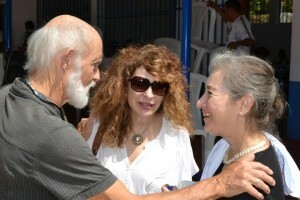 Dr. Rosa Elena Bello, co-founder and rector of the Free High School. The Free High School for Adults, which opened in 2002, is a grassroots non-profit organization that has found innovative ways to provide high-quality secondary and technical education, to under-served low-income populations, many of them excluded from the regular high schools, and to ensure that these diverse students (between ages 13 and 50) can earn the degree. 1060 had done so by December 2018, 54% percent of them women; 45% rural. Many were the first in their family to receive a high-school diploma. The Technical High School graduated 60 people in 2013, most with advanced technical degrees. Watch the march and ceremony here: http://www.youtube.com/watch?v=5FOAAUarw_Q? Co-founded by Dr. Rosa Elena Bello and Margaret M. Gullette, the FHS provides second chances for people who thought they might never get any. It started with a literacy program for women. 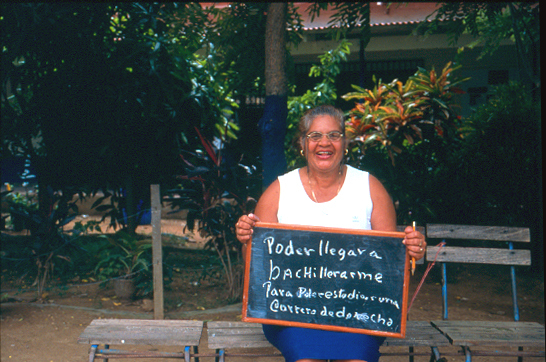 An earlier partnership provided two large adult-literacy programs in the San Juan area. Hundreds of women earned sixth-grade diplomas after only three years. Some of these graduates wanted to continue on to secondary education, which for the neglected (the rural poor, especially women) is essential at this historical moment. But the ordinary daily high schools in Nicaragua accept no one over 18, no woman who is pregnant, no woman who has had a baby, and of course no one who must work weekdays Monday through Friday. People who live too far away from town could not attend. We welcome all of them. Our first year we had 12 graduates; now ever year around seventy people graduate. The diploma is certified by the Ministry of Education. We are “more public than the public schools,” according to the vice-minister for Education, who calls us “a model” for the nation. The School receives no aid from the Ministry of Education. The Free High School operates in San Juan proper as a Saturday School (so that people who work all week–maids, night watchmen, fishermen–can attend), and it also brings the first three years of high school directly to rural folks in widely scattered rural communities that draw from twenty villages. (In 2019, 210 students attend 12 middle schools.) Rural students can finish their last two years in our town Campus, by coming in on a free bus provided by a consortium of donors. Our imaginative educational programs teach all required subjects, as well as computer skills, reproductive health, gender, and critical thinking, and they develop social consciousness. In 2019, we were able to start a program that teaches English and will terminate in a bilingual diploma–the first given in San Juan del Sur. The Free High School opens the door to economic opportunity and teaches the values of community outreach. With Nicaragua the third poorest country in the hemisphere, our programs reduce inequality, drug-use, and prostitution, and help alleviate poverty, violence against women and children, poor nutrition, environmental degradation, unwanted pregnancy, and ill-health. More than that. Our students succeed after graduation. A survey sample indicated that 87.5% are employed, some in small businesses, some with local government– many in the mayor’s office and the Ministry of Education. Many go on to higher education, either in our own Technical School or in universities. Three of our highly-ranked women graduates have returned with university degrees in hand, to teach for us. In 2004 our four best students received grants to go on to higher education from the LACA Foundation. Three of our best students now receive scholarships from the local Jean Brugger Foundation. Some graduates are accountants, foremen, realtors, managers of businesses. The School helps produce the valuable workers, active citizens, and socially-minded leaders that this small country desperately needs. Our motto is Empowering Women and Men for Life. We have grown tremendously since 2002. In 2006 we opened a Technical High School, which offered four career tracks (Accounting, Management of Tourist Industries, Business Administration, and Civil Construction). The demand for our education is great. In many years, we are the largest high school in the municipality. Four, five, and six members of a family sometimes attend. Mothers attend with their children. In one family, members of three generations graduated: a mother and daughter, and the daughter’s daughter. Our students are eager to learn. Rural students often have to walk from two to fifteen kilometers to the free bus to get to the Saturday School on time. Some start at 3 or 4 A.M., and walk in the dark even in the rainy season, when the roads are pits of mud and they may have to cross flooded rivers. Students and their families make huge sacrifices to acquire the coveted diploma. We achieve excellence. In 2011, the co-founders, Rosa Elena Bello and Margaret M. Gullette, went to visit the vice-Minister of Education, Marlon Siu, to describe the Free High School for Adults and the successes of the graduates. At the end of the meeting, after telling us that the FHS was a model for adult education, the Minister sent a team to report on our history and programs so that they could be emulated. Since then the Ministry has started a pilot program across the country, including two in San Juan del Sur, that uses some of our strategies. Our graduates are changing the culture of their region. In the 12 communities where we have long had rural schools, the children and adults have better health: fewer respiratory illnesses, fewer fungal infections, fewer dangerous diarrheas. (The local health center keeps records of where its patients come from.) In the last few years we have also noted fewer (unwanted) pregnancies in the 12 villages and in the Free High School, according to director Maria Dolores Silva. A former vice-mayor observes that people used to be “humble” meaning silent and intimidated. Now they speak up, they look you in the eye, they even disagree. A report focusing on rural high school programs (2010) praises our structure, our staff and teachers, and the results we achieve with our students: “The FHS is providing quality secondary education in rural communities that would not otherwise have access to this level of schooling. The actual structure of the organization is easily replicable, but there are some unique parts that have helped to make it what it is. The Free High School was honored by being selected as one of only six international programs to be included in the Catalog for Philanthropy 2004. Our students give back through social service. For years, all seniors were required to teach adult literacy to someone in the general population. In 2004, 55 of our students taught 80 illiterate people; in 2005, 100 volunteers taught 117. When San Juan del Sur was declared “Free of Illiteracy” (a major national goal for each city and town), our students alone were given credit for helping to produce that achievement. Seniors are required before graduation to produce a research monograph and present it before an audience that includes the mayor and the heads of other city institutions. (Only our students are asked to do field work in addition to research.) In 2010 they were asked to produce strategy papers about how to ensure that everyone in San Juan receives a sixth-grade diploma. A Commission from the Ministry was so impressed by the results that they have asked for the survey instrument to duplicate it elsewhere. About 70 students graduate each year. Community activist, FHS graduate, Marlene Roque has been a teacher in her rural community and now leads an NGO’s diabetes program. We focus on the complex educational, psychological, and material needs of working adults. Two generations in a family often find themselves obtaining levels of education they never expected they could all get. The current record is six members of a family. 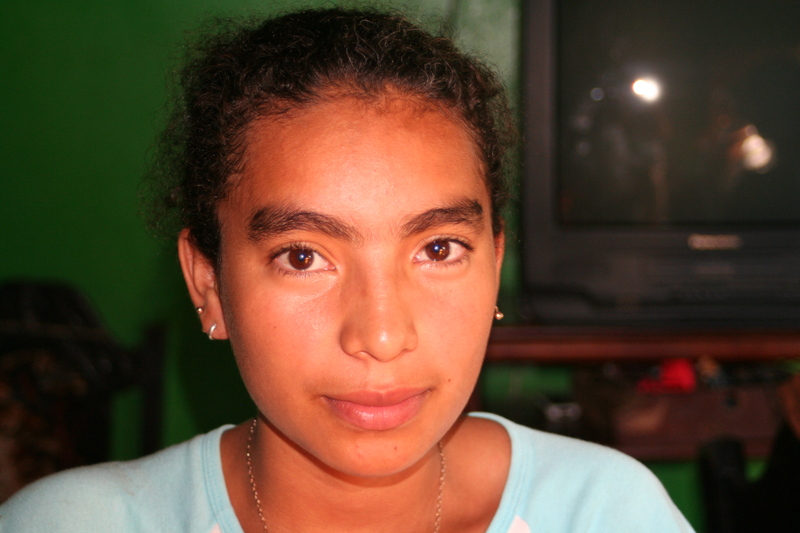 Delia participated in the first literacy program in 1998; now she is a proud graduate of the Free High School. Aside from high-quality academic training, rural outreach, and mentoring of our rural teachers, the FHS provides an emphasis on computer skills, family planning, human rights, respect for women, environmental responsibility. We are proud of our Computer School. Everyone who graduates must have completed the course. Three of the girls who once lived in the Battered Women’s Shelter have done so. Dr. Rosa Elena Bello, also a nurse with an M.A. in Public Health, co-founded the Free High School and except for three years when she was the mayor, served as its rector. She is the president of the Patricia Claeys Foundation, which includes under its umbrella the Free High School; and, since 1990, a town clinic, Community Medical Services, and the town pharmacy. 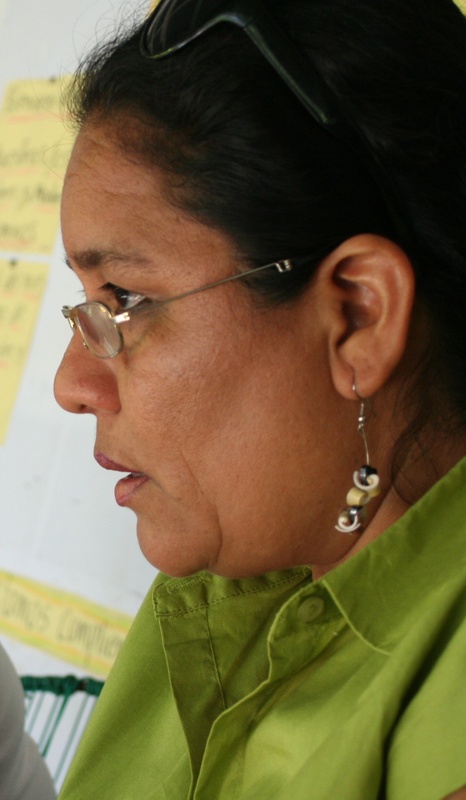 An activist who has dedicated her life to social change since the age of seventeen, before becoming mayor she was the regional coordinator of the Cabinet of Citizen Power, comprising delegates from ten municipalities. Dr. Bello has retained a group of innovative teachers dedicated to the highest standards of pedagogy since 1998, when the first literacy program began. She received an honorary doctorate in Public Health in 2009 from Simmons College, Boston. Brandeis University named her the Distinguished Visiting Practitioner of the International Center for Ethics Justice and Public Life in 2011. In 2019, $120 covers the costs for one student for an entire year. $270 pays for Internet use for a month. $260 pays the salary of the teacher in the computer school for a month. 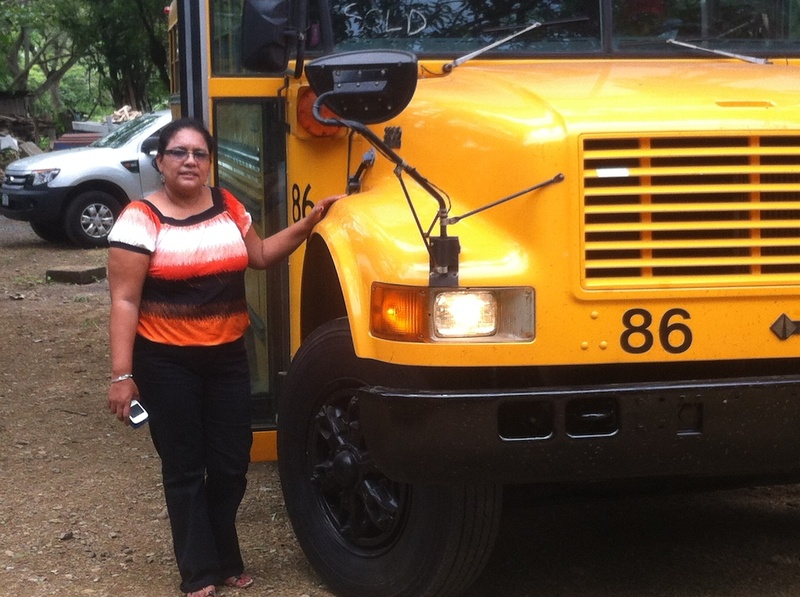 $125 pays the salary of a rural teacher for a month. $250 pays for enough paper and cartridges for a month of work for all the students and all the teachers. (MINED does not provide texts, so we have to photocopy all our curriculum materials.) $2,600 pays for the salary of the Executive Director for a year. The umbrella for the Free High School is the Newton-San Juan Sister City Program, a 501(c ) (3), which acts as the pass-through for funding. 100% of any gift goes directly to program activities in San Juan. Give as generously as you can. To donate online, please click here and type “Free High School” in the “Designation” box. This is their description of the ethos of the School.
. . . the Free High School has a number of other goals that also affect the way it works. The FHS wants to contribute to the social and economic development of the society by educating a workforce that will be capable of directing how they want the economy and the society to develop. Similarly the FHS wants to empower men and women, enabling them to make better, more informed decisions in their own lives and the lives of their families. They also want to provide people with the tools to live a dignified life, whatever that means for the individual. The FHS also puts a great deal of importance on giving the students a high-quality education. They do not simply want to have students graduate, they want them to learn. Because of this, the final two years of secondary school are not offered in the rural communities because the FHS believe that specialized teachers are required to assure that the curriculum is taught well. The FHS also has monthly training sessions, sends teachers out to the communities to help with difficult subjects, makes sure to choose the best candidates as teachers, and has teachers who make themselves available to the students as needed. All this takes a dedicated set of teachers and administrators, people who do not simply see[k] a paycheck and a job, but who feel called to their work. Here are their comments on the trainings the rural teachers receive. 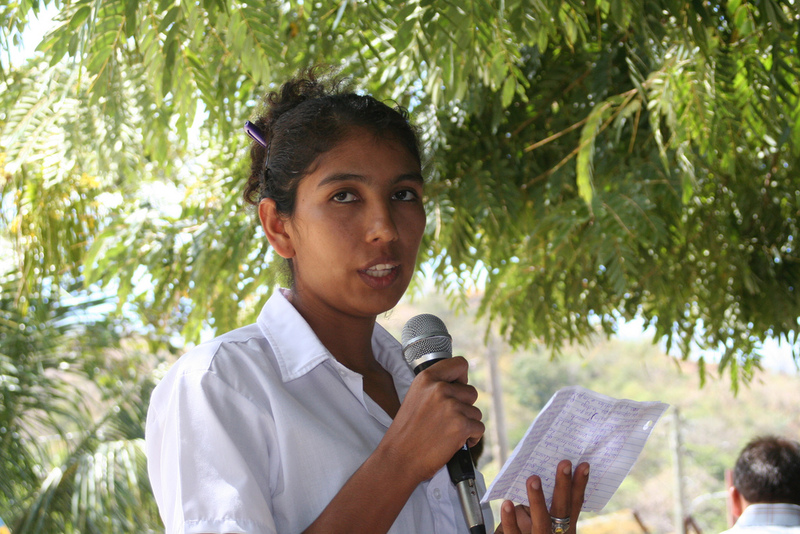 In these communities, as elsewhere in rural Nicaragua, secondary education requires some sacrifices on the part of the families and the students. Simply getting to school requires long walks over rough terrain (sometimes in bad weather and sometimes very early in the morning) or it requires money for a bus (as well as money for food) or both. Many rural families practice subsistence farming and do not generate an income that meets all of their needs even excluding education. For them, finding the money needed to get to the Saturday School [and eat lunch] is no small sacrifice. Brian David and Emily Quayle are fluent in Spanish; they graduated from Lewis and Clark College in Portland, Oregon, Emily with degrees in History and Hispanic Studies and Brian with a degree in Political Science. Both have spent time in Central America. After working with a Sister City Project in Carazo, Brian decided to try to discover “best practices” in rural education with two goals: to provide feedback to Dr. Rosa Elena Bello and her staff, and in the longer-term hope of sharing their findings in order to help other institutions affect improvements. They learned about the existence of the FHS from our Website. They wrote the report after spending three weeks in San Juan in the spring of 2010 interviewing administrators, teachers, parents, and students, and making site visits to the rural classrooms. In all, they observed four schools, which included The Richland Center-Santa Teresa Sister City Project (Carazo); La Vida Education (San Juan del Oriente); and Empowerment International (two other sites in Nicaragua). The co-founder of the Free High School and the North American partner since 1997, Margaret Morganroth Gullette has raised money for the two literacy programs and the Free High School and Technical Institute, as well as for the bus that carries students from the distant southern villages to the Saturday School. Margaret’s essay on the adult literacy program for women, “Florcita la Suerte” (cited as notable in Best American Essays), can be found in the Writers’ Views section. Margaret is the author of five books, including the prize-winning Ending Ageism, or How Not to Shoot Old People, Aged by Culture, the prize-winning Declining to Decline and Agewise: Fighting the New Ageism in America. Another essay, about the first literacy program, “The Contagion of Euphoria,” won a Daniel Singer Millennium Prize in 2008.